Hello everyone! Hope you've all had a fantastic week! I thought that I would do a review of Soap and Glory's Heel Genius today. Foot creams aren't exactly the most talked about product within the beauty community purely because nearly everyone, including me absolutely hates feet. However in the summer time we all tend to have our feet out a lot more. This then leads to dry feet which isn't exactly the most pleasant thing to have. I mentioned this product in a couple of posts before. You can check them out HERE & HERE. This cream is an absolute dream. 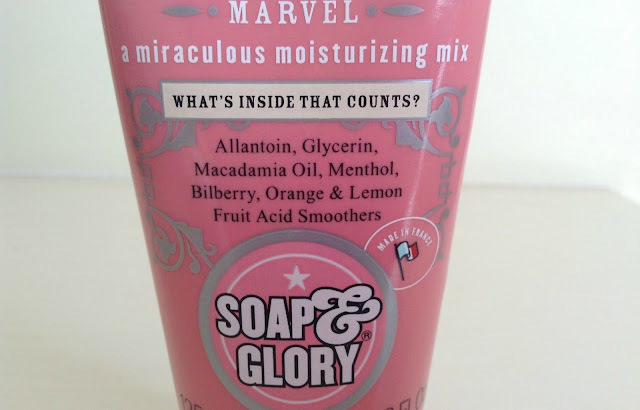 Soap and Glory are well known for their absolutely gorgeous smells, cute packaging and extremely good quality products so when I spotted this in Boots I did not hesitate to purchase it. At the beginning of June I decided to sort out my feet and get a pedicure. In short my feet were in tip top shape with no dry skin or hardness and it was just a dream to have healthy looking AND feeling feet again. However in order to keep this in tip top shape I was told I would need to purchase a foot cream to prevent the state they were in before. I don't think I will ever be using another foot cream. Not that I have tried every foot cream out there but this just works like a dream and is perfect for me. It has a blue gel like consistency which applies quite thickly to the feet and becomes more like a cream the more you apply it to your feet. I tend to apply this just before bed as if you apply it throughout the day you'll just slip and slide all over the place and the moisture will just escape your feet. I apply it before bed and place very thin cotton socks over the top. This not only locks in the moisture but also avoids you slipping and sliding all over the place if you need to wake up in the middle of the night to go for a drink or toilet! This cream leaves the feet feeling very soft and supply and reduces the hardness of skin on the bottom of your feet. Definitely a bonus for me! I also love the cute packaging of this product. It is pink and colorful and definitely stands out in the shops. I love the fact that soap and glory used a bit of humor on this product as well. 'Heel Genius was tested on people...you might argue this if you'd seen the condition of some of their feet! Yeesh!' Things like this definitely amuse me! Ahhh the little things in life! 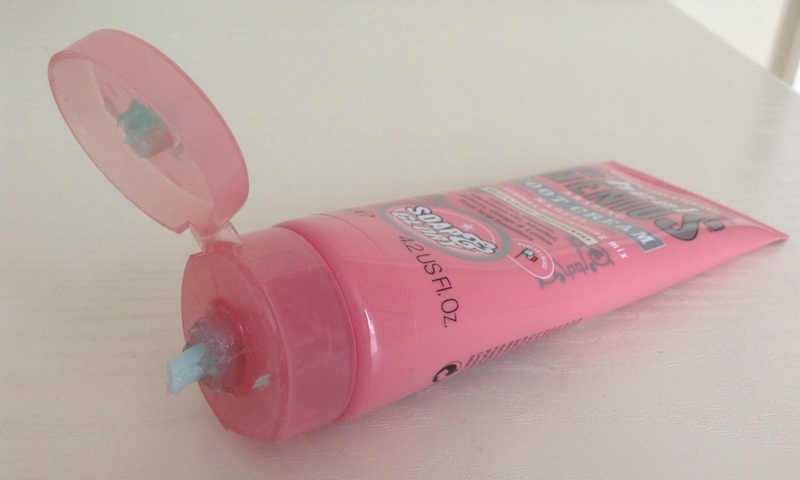 Soap and Glory Heel Genius can be bought from boots for £5.50. Have you ever used a foot cream before? Do you have dry feet like me? Have you been tempted by this product? Let me know in the comments section below! I love Heel Genius! Soap and Glory know how to look after your feet! I've never used foot cream before but this post makes me want to hehe! My heels are looking really bad at the moment and this seems like the perfect product to treat them with!! Definitely going to purchase this!